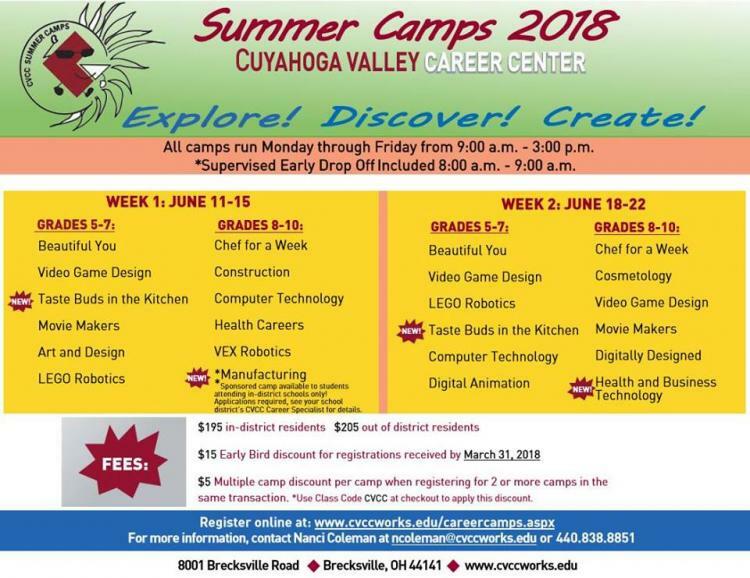 Summer Career Camps are for students entering grades 5-10 in the fall. They are a fun way for students to "try on" a career in a given field with hands-on projects and field trips. Great Food, Fair prices, Fun Times!